The Most Sought After Talent Acquisition Advisor To Global Corporations and Organizations. Great Concepts and Ideas from a Corporate Talent Acquisition Insider Who Has Personally Partnered with Organizations Around the Globe to Transform and Optimize the Hiring of Top Talent. 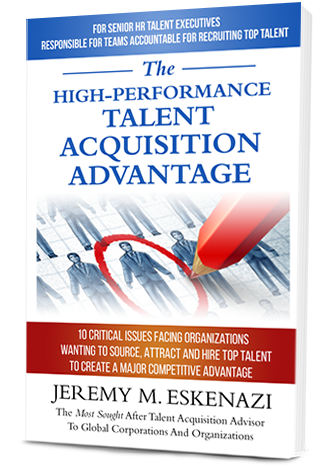 Jeremy Eskenazi’s The High-Performance Talent Acquisition Advantage helps you to understand what may be preventing your organization from recruiting the best people effectively. 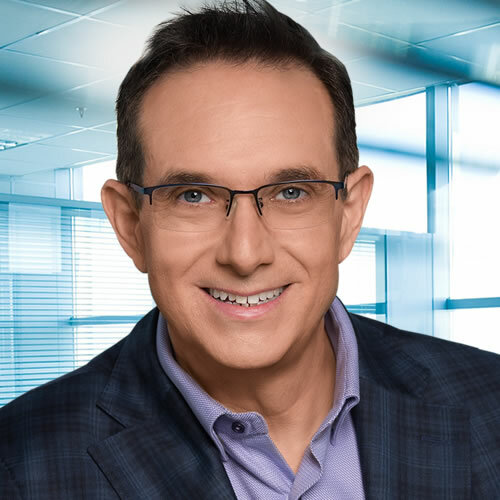 He guides you through the right questions to ask that can help reveal the truth about what’s really going on within your Talent Acquisition function. . Let’s face it, we all want to have a competitive edge. This book will help you acknowledge some of the hidden weaknesses within your Talent Acquisition organization and to help you to execute solutions that help your organization win the race to the best talent. What a competitive Talent Acquisition edge can do for your team in the most hyper competitive talent market ever. How you can use your Talent Acquisition edge to find top talent and ensure your organization has a winning team. Why your consumer brand is not always enough to attract top global talent. How your Candidate Experience practices earn you a recruiting edge. The clues to understand the true issues holding your team back from high-performance Talent Acquisition. What is inspirational Talent Acquisition leadership, and how to leverage it. The importance of integrating Diversity recruiting strategies and how to use it as an advantage. When and why you should or shouldn’t outsource Talent Acquisition. Those are just a few areas that The High-Performance Talent Acquisition Advantage will help you uncover. As a Talent Acquisition leader himself, Jeremy Eskenazi has developed and proven that these key ingredients can transform a Talent Acquisition function into a high-performing advantage. If you are ready to look deep into your recruiting function, this book will give you the leverage that you need to optimize your Talent Acquisition performance. *We reserve the right to limit supplies of the book to qualified requestors. The book is designed for leaders of internal corporate HR, Talent, and Recruiting teams. If we determine you are not a qualified requestor, we may limit distribution of the book to you. Jeremy is a trusted partner to global HR leaders for some of the world’s most sought after organizations. After years of senior HR and Talent Acquisition roles at companies like Universal Studios, Amazon.com, and Idealab, Jeremy founded Riviera Advisors in 2001 as one of the most established and most successful boutique Talent Acquisition management consulting firms in the world. He and his team use their expertise to help organizations assess and enhance their Talent Acquisition function.